While all emergency vets can see some horrific scenes – dogs hit by cars, cats being strangled by fishing line, in Anchorage, Alaska, the stakes are the same, but the patients are very different. P.E.T. (Pet Emergency Treatment) is a 24-hour emergency centre for all creatures wild and domestic. As most of the state is only accessible by air, animals are flown in to P.E.T. from villages all over Alaska to receive state-of-the-art medical and surgical care. 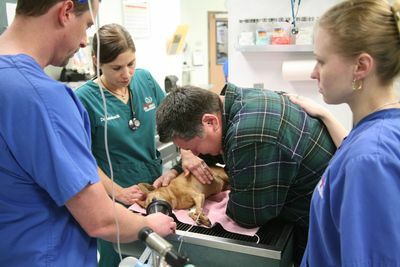 In addition to the usual family pets, emergency vets at Pet Emergency Treatment (P.E.T.) treat baby moose, sea otters, eagles, porcupines, seals, mink, beavers and even the occasional bear. More than just dramatic stories of life and death, this unique series features the fierce and dedicated individualists who found themselves in Alaska and then stayed.